Did you ever wonder if you had any Viking ancestry in you? Well if you just so happen to be living and reading this from Orkney, Scotland you very likely could be part Viking! In fact 1 in 3 people living on Orkney today have Viking ancestry, and the Highland Park 12 Years Old Viking Honour Single Malt Scotch Whisky perfectly reflects the unique culture of the remote island home. 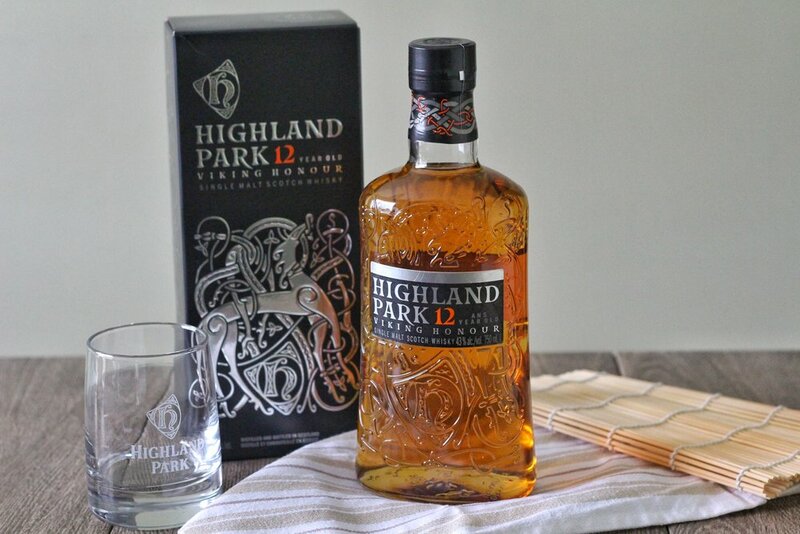 Highland Park is a premium and unique singe malt Scotch Whisky that honours the spirit of the Viking ancestors. It shares the pride, integrity and fierce independence of the Vikings and is distilled with the same rigorous standards introduced in 1798 by the founder, Magnus Eunson who was a descendant of the early Viking settlers. There are five keystones that separate Highland Park from other distilleries: hand turned floor malting, aromatic peat from Hobbister Moor, sherry oak casks, cool maturation, and cask harmonization. No other distillery uses all 5 of these benchmarks, so it's safe to say there is no other whisky out there that tastes like Highland Park. With a recent update to its aesthetics (box & bottle design) and name, Highland Park has teamed up with The Healthy Butcher, a local Greater Toronto Area butcher, to create some unique infusion and pairing recipes that will no doubt stir up our Viking Appetites. The Healthy Butcher is focused on craftsmanship, providing only the best quality 100% grass fed and Certified Organic meat to their consumers. 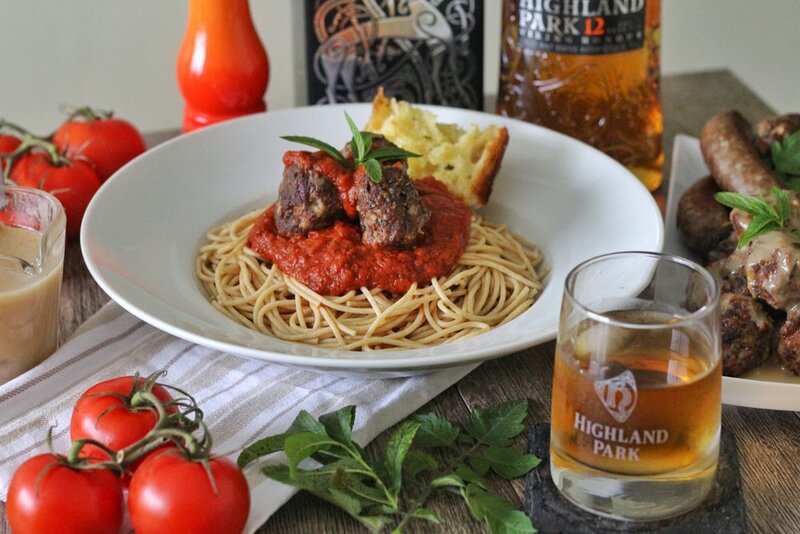 This partnership brings the smokey and sweet notes from the Highland Park Whisky to rustic and or gamey meats from The Healthy Butcher, so today I am going to share with you all a delicious Meatball recipe that will surely be the show stopper at your next family meal. These meatballs can be eaten two ways. You can incorporate them in any classic pasta dish or better yet pair it off with the Highland Park Scotch Whisky Sauce (the recommended way of eating it)! Below you will find all the ingredients you need for the Meatballs and Highland Park Scotch Whisky Sauce. Simply combine all the ingredients together. There are also select products that are already infused with the Highland Park Single Malt Scotch Whisky that can be bought at any of The Healthy Butcher store locations in Toronto and Kitchener. So the next time you want to fire up your grill or have some mad cravings for some delicious meats, don't forget to bring out the Viking in you and pair it off with some Highland Park, The Orkney single malt with a Viking soul!